Wed., Jan. 23, 2019, 5 p.m.
Nobody wants to pay too much for wine. The sweet spot is a wine that wins multiple awards yet still costs less than $20. In the case of Wine Press Northwest magazine’s annual Platinum Judging, every wine judged already had won a gold medal somewhere in the world during the previous 12 months. If a wine then wins a Platinum, it can be considered one of the best of the best. Combine this with an affordable price, and we have a winner for all. This week, we’ve picked out a handful of the top-ranked Platinum winners, all of which retail for less than $20. Ask for them at your favorite wine shop or contact the winery directly. Yamhill Valley Vineyards 2016 Riesling, Willamette Valley, $18: Ariel Eberle, who recently completed her 10th crush at Yamhill Valley Vineyards, continues her string of success with riesling at the second-oldest vineyard in the McMinnville AVA. While her 2015 riesling leaned more toward late-harvest in approach, this leans bone-dry at 0.6 percent residual sugar, which displays her versatility as a winemaker. Gorgeous aromatic engages the senses. Nectarine, peach skin, lime zest, underlying crushed herbs and minerality expand vivaciously on the palate. It is beautifully balanced with a perfect level of acidity keeping it vibrant through the long and refreshing finish. Thurston Wolfe 2016 Touriga Naçional Port, Yakima Valley, $16: Wade Wolfe has been producing award-winning dessert wines with Portuguese varieties long enough that he is among the few outside of Portugal legally allowed to label them as “Port.” (The U.S. and European Union agreed to this restriction in 2006). This is 100-percent touriga from Lonesome Spring Ranch, and the 15 months in neutral oak barrels allow for aromas of fruitcake, fresh brioche and sweet cured meat. Inside, it’s rich and delicious with a creamy body and flavors of vanilla and raspberry jam. College Cellars of Walla Walla 2017 Clarke Vineyard Sèmillon, Walla Walla Valley, $18: The late Stan Clarke lives on in the hearts and minds of students and faculty at Walla Walla Community College, and the vineyard he doted on near the Walla Walla airport continues to flourish. Winemaking educators Tim Donahue and Sabrina Lueck, viticulture director Joel Perez and their students pulled from Clarke Vineyard for one of the state’s top white wines released in 2018. Charming aromas of peach, lemon custard, honeysuckle and limestone lead to flavors of white peach and nectarine. There’s a touch of canola oil in the midpalate for complexity, but that’s whisked clean by a long finish of Meyer lemon and apricot. Spoiled Dog Winery 2017 Escape Blanc, Washington, $17: Cool-climate grape expert Karen Krug crafts this Germanic white blend of riesling (85 percent) from Crawford Vineyard in the Yakima with Siegerrebe from Kang Vineyard on Whidbey Island. Scents of a white floral bouquet and wet stone notes provide a perk. It’s sleek and minerally, with pear, peach and nectarine, the accents of clove and fresh honey, creating a colorful blast of flavors. Brisk acidity keeps it vivacious, and a kick of lime zest enlivens the finish. 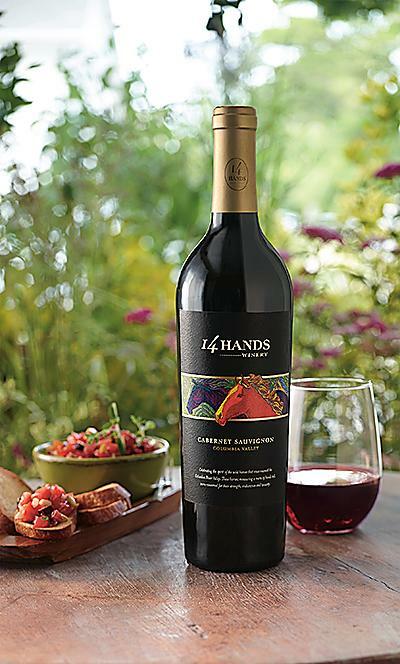 14 Hands Winery 2015 Cabernet Sauvignon, Columbia Valley, $12: Cab is king in Washington, and Keith Kenison and his team at 14 Hands in Prosser continue their reputation for producing one of the state’s most likable, affordable and available examples. Part of the winery’s “Essentials Series,” it’s fruit-forward with creamy black cherry and blueberry flavors among silky tannins, making for a long finish. Published: Jan. 23, 2019, 5 p.m.